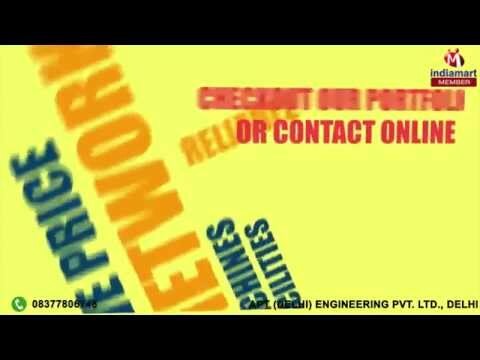 Welcome to APT (Delhi) Engineering Pvt. Ltd., establishment in the year 1982, we are engaged in manufacturing, supplying, trading and exporting a quality range of Cable Trays & Electrical Accessories. In our array of products, we offer Cable Trays, Earthing Material and Support Structure. These products are manufactured using premium quality raw material procured from the registered vendors in the market. In our business activities, we are backed by our sister concerns, namely APT (Delhi) Engg. Pvt. Ltd, APT Chit Fund and finance Pvt. Ltd., Surya Shine Lubricants and Paras Industries. We are exporting our products to South Korea, Oman, Sri Lanka, Bhutan, Indonesia and UAE. We offer various payment modes to avoid complex process of monetary transaction. Owing to all these attributes, we have been able to garner a huge client base such as NTPC, BHEL, NFL, ILK, EIL, IGP and DCM.